Two weeks back we informed you about the Football World Cup Video Spam on Facebook. 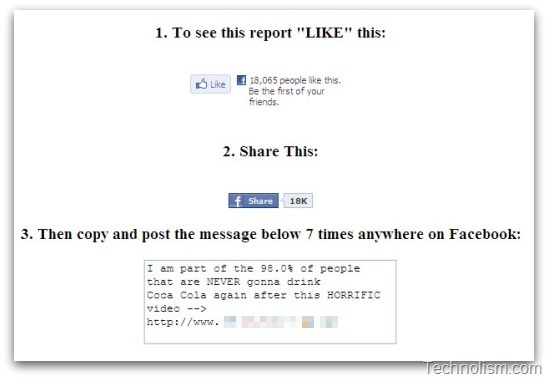 Now, there is a new scam on Facebook that promises to show you the video that will reveal the “truth” about Coca-Cola, but all it really does is, capture your personal info. 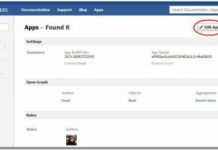 The security firm Sophos described the new facebook scam in a blog post. 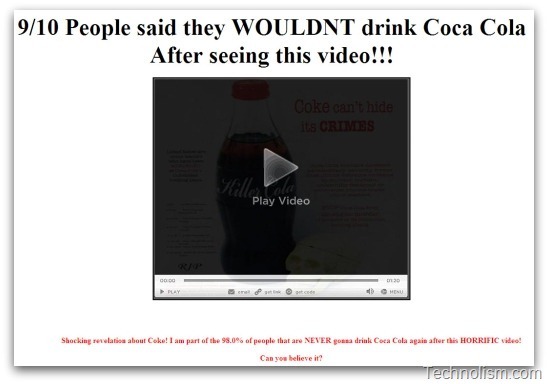 The message says: “I am part of the 98.0% of people that are NEVER gonna drink Coca Cola again after this HORRIFIC video,” followed by a link. When you click on the link you will be taken to a website saying that “9/10 People said they WOULDNT drink Coca Cola After seeing this video!! 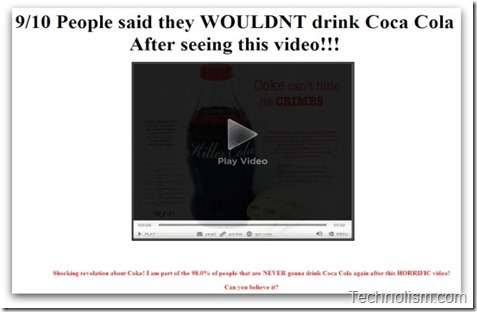 !” above a thumbnail of a video which says that “Coca Cola can’t hide its crimes”. When you you click on this link, it asks you to share the video seven times. However, the counter doesn’t work, so eventually you’ll be tempted to click on a link that says “Cant Be Bothered To Wait? –> Click Here To Skip This.” Clicking on this link, takes you to a poll, which is actually the real scam. It takes you to a survey and asks you for personal information. Please beware of such scams over the internet and do not get lured by such tempting links even if they are shared on Facebook by your closest friends. You should definitely not reveal to just anyone or any application. 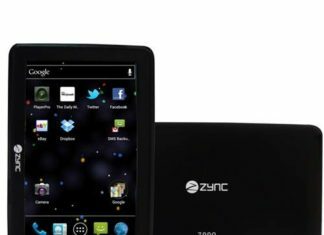 We advice all the readers to stay updated on such security threats and share this with your friends and loved ones to stop them from sharing valuable personal information to such scam applications. In the meanwhile you would like to subscribe to our email updates to be informed about such security threats. 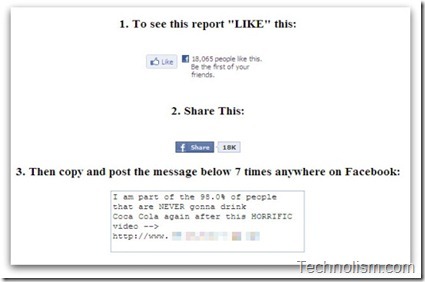 Previous article[How To] tag friends on your Facebook Status Message? 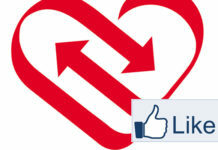 Next article[How to] invite all your friends to Facebook Page or Group?